Looking for a cheap digital camera? Here you'll find the best bargains shared by our community of bargain hunters. Nikon, Lumix, Canon, Fujifilm, Instapix, Action Cameras and more. We look for deals from Amazon, Argos, Curry's as well as specialist camera retailers. Every day we post top price drops to help you save money. HD Wireless Two-Way Communication Doorbell Camera - 2 Colours! Lowepro Tahoe 150 Backpack for Camera (Black) - Better Than HALF PRICE! Choosing the right digital camera to meet your needs and budget can be a daunting task. Most of us have decent phone cameras that’s quite handy for daily snaps, but if you want something to capture a special occasion or holiday moment or want to have full control over the images, there’s a wide range of digital cameras you can choose from. Upgrading to a digital camera that comes with a good quality can really make a big difference when capturing those special moments. Our guide here at Latest Deals can help you decide what camera to get for all your needs and especially your budget. So whether you’re looking for a cheap digital camera, cheap compact camera or the best cheap action camera, we have the best deals, offers and vouchers from Argos, Currys, Amazon, eBay, and more UK retailers. It’s always a good idea to stick with popular brands if you’re after quality and innovation as well as compatibility with lenses when it comes to DSLRs. Brands that have stand the tests of time include Nikon, Canon, Fujifilm, Pentax and Olympus. Other electronic companies who have joined the bandwagon include Panasonic and Sony, which no doubt offers some of the best cameras in the market. While there are plenty of good options in the market, it also means that it’s even more difficult to choose the perfect camera now more than ever. In addition, updates are constant on more important camera ranges while older models will usually drop in price after a few months. Plus you also have to take into consideration the functionality range of the latest cameras which are far better than before, giving you access to great quality images. The first thing you need to ask yourself is where you’ll be using the camera and the type of images you want to snap. If you’re after simple snaps, it’s ideal to get a compact camera on the entry-level that will adequately do the job. If you want a more advanced option or for professional photography for portraits or action shots, what you need is a DSLR camera. A typical 5mp camera with 64mb memory can store around 24 high-resolution photos. However, a lot of us are a bit snap-happy when there’s a digital camera on our hands, so you may want to purchase an extra memory card for storage. Memory cards come in numerous forms so make sure to buy one that’s compatible with your camera. 1GB is a good choice for an 8mp camera if you plan on using it on your holiday and will not be able to immediately transfer your images to your laptop. Prices differ extremely but you can buy a simple camera for as low as £50. If you will not use most functions of a high-end camera, avoid buying one. A budget and cheap digital camera can do a pretty good job with its automatic settings that composes your photos. On the other hand, top range cameras comes with many settings, providing you with more control over the end result. The most important thing is to do your research so that you’ll end up with a camera that suits not just your needs but your budget as well. And of course, if you want more value for your money, take advantage of the daily offers, deals, discounts, bargains and vouchers our team of savvy bargain hunters have found online. What are the types of camera? This option is ideal for families as they are lightweight, small and easy to use. You can simply pop it into your pocket bag when you’re on the go. It offers good quality images with average to high resolution, it usually comes in 14mp and above. Some budget ones can give out pixelated images but there are best cheap budget cameras that offer great snaps. Bridge cameras come with a single lens but provides users more manual controls and often come with better sensors compared to a compact, so you’ll be able to get better snaps in low-light conditions. Their prices are reasonable as well. These new generation of cameras are online-enabled just like a smartphone. Smart cameras uses an Android OS and come with Wi-Fi built into it for wirelessly transferring images to your smartphones, tablets or social media platforms like Facebook. It also offers saving to cloud storage and allows tracking of your Tweet images and so much more. DSLR stands for digital single-lens reflex. These are the widest and most complex camera type. You can get a wide array of lenses to use with it as well as different accessories. You will still be able to do point and shoot with it. Plus you’ll also need to get a bag to carry all its kit around. Once you have mastered a DSLR, you’ll be able to take amazing images in any scenarios. 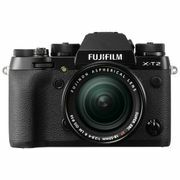 Amazon is a great place to shop for all types of cameras where you can get up to 50% off savings on compact cameras, DSLRs, action cameras, bridge cameras, drone cameras and more. The online retailer also offers free delivery on eligible orders. You can get a cheap action camera at Amazon for just £32.99 with free delivery. Argos offers a wide array of cheap digital cameras with money-saving deals from £10 off on new waterproof cameras to £49 off on selected DSLRs. Other Argos camera offers include £100 savings on Nikon D3400 DSLR, £20 savings on GoXtreme 4K action camera and clearance sale on selected cameras where you can get a discount of up to £50. 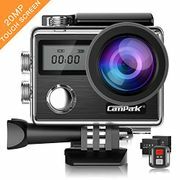 Lookout for items with the WOW mark if you are looking for cheap camera bundle deals. Currys camera deals include £100 off on marked price and a 2 year guarantee on selected digital cameras. You can also get up to £130 discount on some of their DSLR range. If you’re looking for a cheap camera under £10, you can get the Fujifilm QuickSnap V400 Single Use Cam Currys for only £4.99. You can also save around £10 to £71 on their compact camera lineup. Very.co.uk got some pretty good deals on their digital cameras as well. You can save about £10 to £150 on selected models, brands and types. A budget DSLR will have plenty of manual controls to experiment with - from aperture and shutter speed to white balance and flash settings. The best entry-level DSLRs include the familiar automatic lighting and scene modes as found on compact digital cameras to help you get the best shot every time. Many feature on-screen guides that help beginners learn how to use their DSLR camera. Pixels: Look for a DSLR model with 12 to 38mp while on compact or bridge camera, look for one with 10 to 14mp. Lens and optical zoom: Cameras come with an array of zoom settings and lenses. A 10x zoom on compact cameras mean that its longest setting is about 10 times longer than its widest. LCD screen or viewfinder: LCD screens replace the old viewfinder for composing the shots. However, they are trickier to use outdoors, so try to look for a model that comes with a viewfinder also so that you will be able to easily steady your shot and save on battery life as well. Battery life: A good digital camera will come with a built-in rechargeable lithium ion batteries as well as a separate charger. If the model you got does not come with either one, invest in one in order to save money in the long run. Digital camera shutter delay: If you’ll notice, there is a few seconds of delay when snapping a photo when pressing down on the camera’s shutter release. If you want to reduce this, you can press the shutter hallway down while composing your shot to set off the camera’s auto-focus system. Manual settings: If you want more control over your images, this is the first thing you need to look for before buying a camera. Almost all digital cameras has auto-focusing but not all come with the manual focusing option. 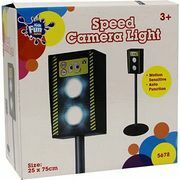 Other features to lookout for: Face detection, compression, continuous shooting and maintenance.